Players from 23 different states attempted to gain access to real-money wagering via the newly-launched online gambling sites in New Jersey, but were denied. Although it has been explicitly stated that New Jersey’s online gambling scheme will be operating on an intrastate format for the time being, it did not keep players from beyond New Jersey’s borders from trying to gamble online in the Garden State. This certainly does make one wonder the reasoning behind those futile attempts by Americans spread out around the U.S. Whether those wannabe gamblers are clamoring for regulation in their home states or merely computer hackers with too much time on their hands is unclear. I tend to think it’s the former: players from unregulated states who have been watching from afar the happenings in New Jersey, Delaware and Nevada and are wishing that their state legislators would also enact online poker legislation. 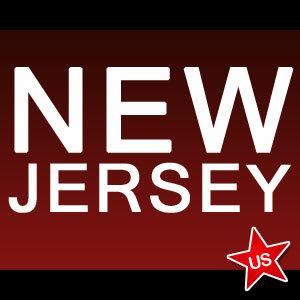 New Jersey’s online gambling soft launch began last Thursday. Matt Katz, CEO of the geolocation technology firm known as CAMS, told the AP that players from nearly two dozen states were blocked from gaining access to the sites. While that shows that safeguarding the gambling websites from out-of-staters is quite a task, it also shows the popularity and need for regulation in other jurisdictions throughout the U.S. But until regulation does come to other states, and indications are that legislation may be a long time coming in quite a few of those states, online poker players do have a number of other options. And they are quite good options at that, considering that there are several U.S.-friendly poker rooms that offer excellent bonuses and outstanding cashout reliability. Bovada Poker, Black Chip Poker and Americas Cardroom continue to lead the industry among U.S.-facing rooms and networks. That lead is in both player traffic and withdrawal speed and consistency. Americas Cardroom and Black Chip are part of the Winning Poker Network, which has really made positive strides as of late in attracting players based in the U.S.
Add to that the favorable first-time deposit bonuses of 100% up to $1,000 at any of the above-mentioned poker rooms and that makes several good reasons why U.S. players who are not in New Jersey, Nevada or Delaware should deposit and play at the best sites available to those residing in the U.S. Another positive is that you won’t typically get such excellent signup bonuses in those regulated states anyway. Let’s face it. Players in the U.S. in the other 47 states want to play online poker. And they want to make sure that their funds are safe and can be withdrawn with the utmost speed and efficiency. So why not play at the poker sites that have been doing that on a consistent basis? Those reliable poker rooms are Black Chip, Bovada, and Americas Cardroom.